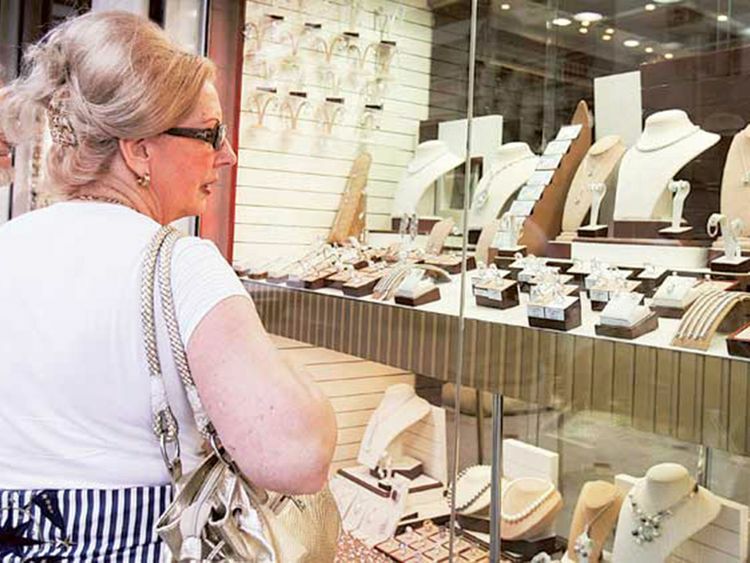 Abu Dhabi: Abu Dhabi’s trade in pearls and precious stones and metals touched Dh8.2 billion in 2018, compared to Dh7.84 billion in 2017, representing a growth of 5 per cent. According to Abu Dhabi Statistics Centre, pearl trading has seen a significant growth over the past year, especially in exports. The UAE is among the top countries in trading in pearl and stones, as diving for pearls is a traditional profession practiced by Emirati citizens for more than 100 years. The value of exports of pearl and gemstones increased to Dh2.43 billion in 2018, compared to Dh380 million in 2017. In December 2018, Abu Dhabi’s pearl and precious stone exports jumped to Dh1.65 billion, compared to Dh26 million in the same month in 2017. Re-exports of pearl and precious stones was valued at Dh477 million, while 2017 saw the re-export of pearl and precious stones worth Dh2.5 billion in 2017. Imports touched Dh5.3 in 2018, compared to Dh4.96 billion in 2017. Abu Dhabi’s trade in pearls and precious stones represent 4.8 per cent of the total value of non-oil commodities worth Dh167 billion.